Easy to learn fun game for your tailgate or family gathering! 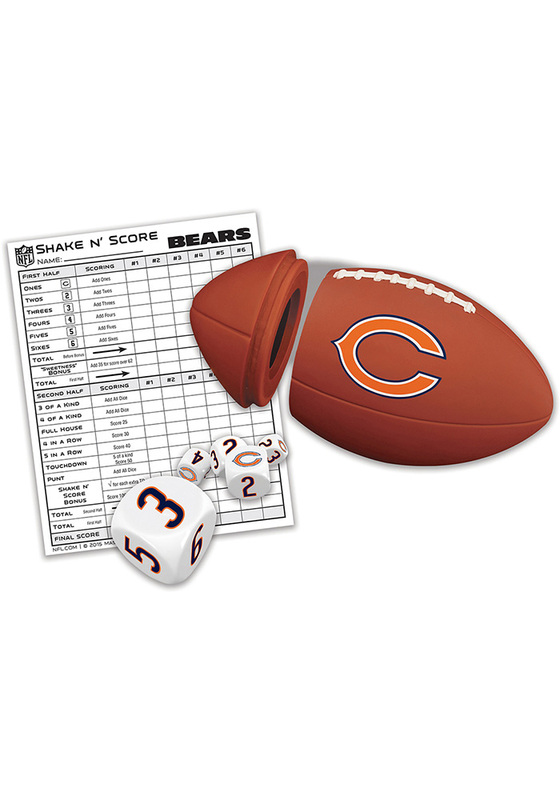 Have a little fun with your team with this Chicago Bears Shake N' Score Game. This Game features a collectible travel dice game where the goal is to get as many points as possible by rolling different combinations of all five dice! 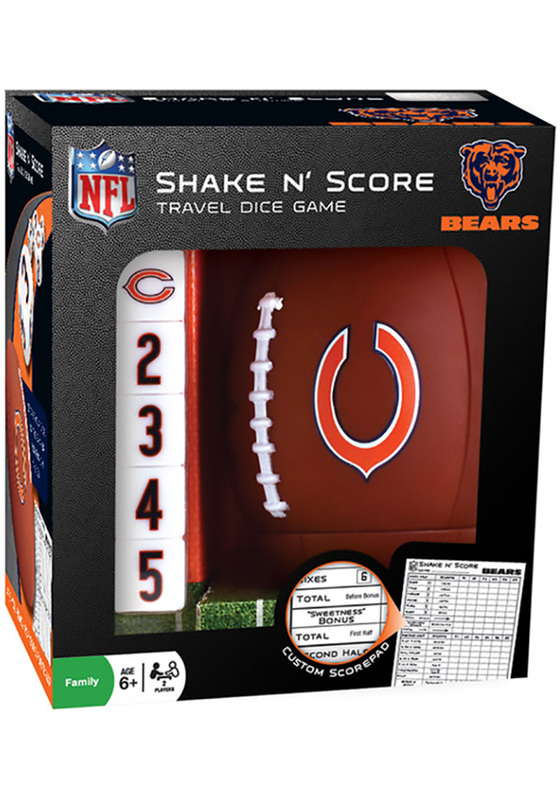 Includes a team dice cup, 5 team specific dice, and personalized scorepad for hours of Bears fun.